This rugged off-trail area is beautiful at any time, but the waterfall is usually just a trickle. After a significant amount of rainfall it temporarily turns into a gushing beauty, as shown here. 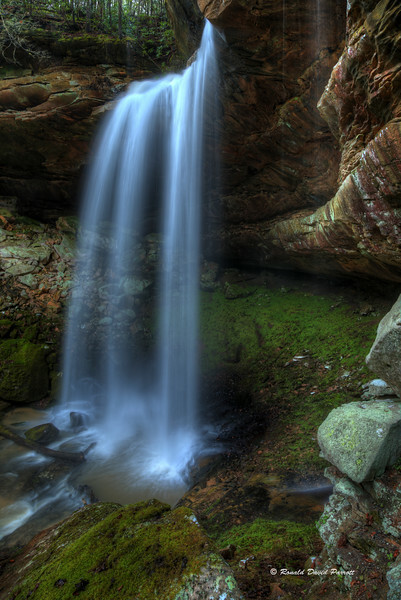 This is Hemlock Falls in the Daniel Boone National Forest in Laurel County, Kentucky.